It has been rebarreled and probably reblued, cal. 7,63mm. Number sems to be 237737 from the photo. Not sure if it is the correct sight (0-500). That's pretty weird. 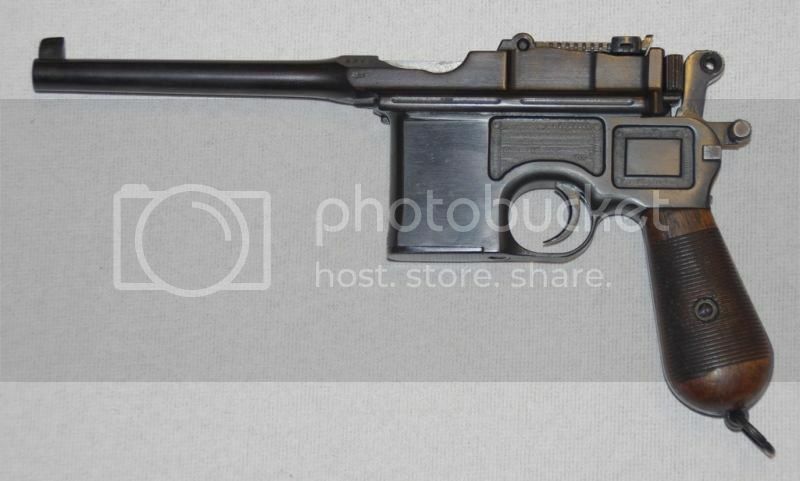 It's tough to be sure from the photos, but the sight ramp looks like the standard Prewar Commercial one, which should of course have a 1000 meter sight leaf. 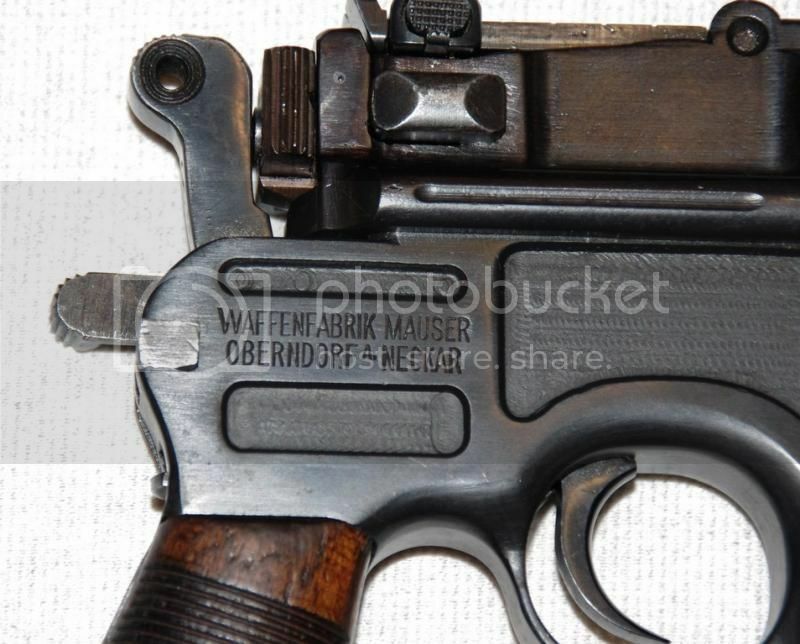 #237737 would be a Prewar Commercial gun. But the safety lever knob is solid with no through-hole, so it came from a New Safety gun, and those were introduced at #280,000. 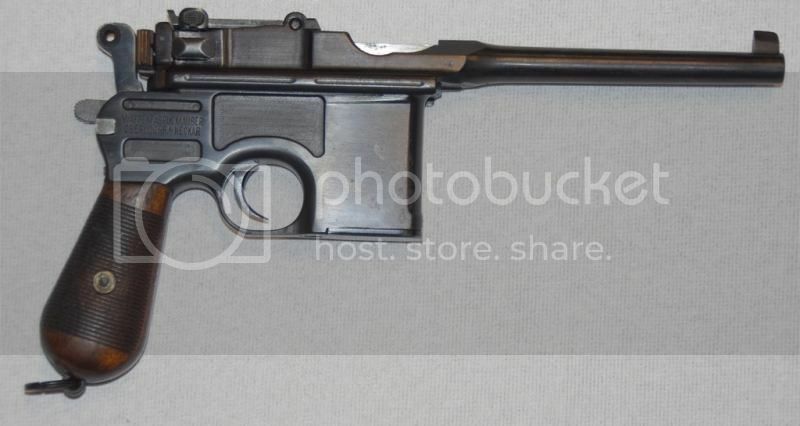 That style sight leaf was used only the 1916 Prussian Contract guns in 9mm. Very peculiar. There some other strange stuff going on there. 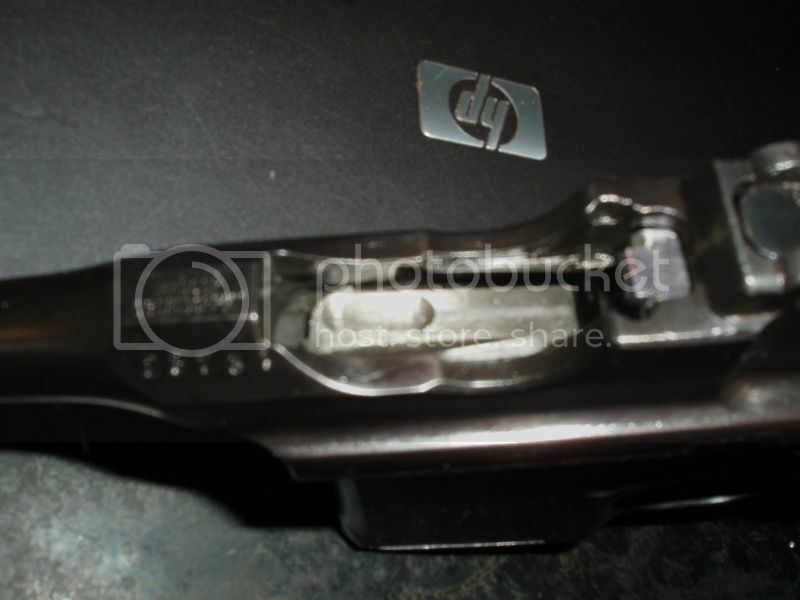 The shape of the aft end of the slide, just aft of the bolt stop, is odd, and the face of the hammer, up at the the top, is also unusual. More strange things, The cartridge follower has this oval milling, I showed the gun to a more experienced collector, and he had not seen it before. 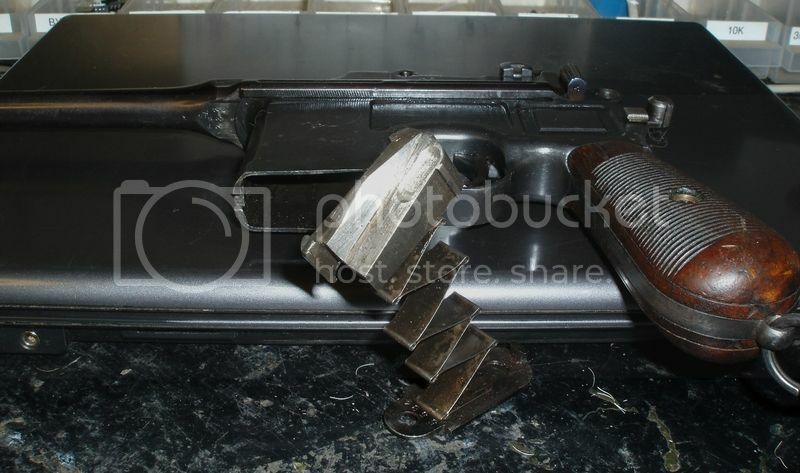 Is it a later job of a gunsmith.